Greece > News > Ιnaugurated New Motorway: Patra – Athens in 1.5 hours! We are opening roads. 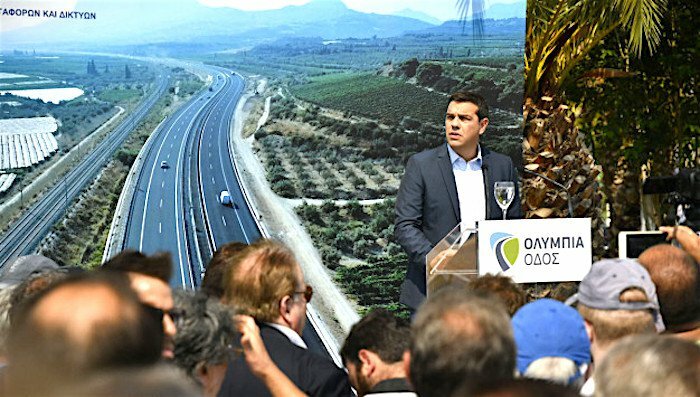 We are opening the road that was hindering the connection of Western Greece with the capital, we are opening the road to exit the crisis and supervision,” Greek Prime Minister Alexis Tsipras on Tuesday said during the inauguration of Corinth-Patras motorway. This is the strong symbolism of the inauguration, said the prime minister and noted that Tuesday is a day of joy for Western Greece and the message sent is that Greece can stand back on its feet.